New ACL BayNews Posted: The February 2015 BayNews (the newsletter for the Association of Children’s Librarians of Northern California) is now available on our website: http://www.bayviews.org . 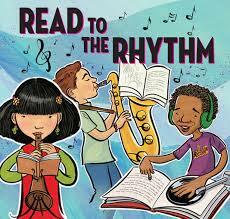 You will find reviews of new pop-up books, Read-alikes for the Summer Reading Program “Read to the Rhythm,” new storytime themes relating to the Summer Reading themes, and much more. Tuesday, April 21, Castro Valley Library (Alameda County) and Wednesday, April 22, Dr. Martin Luther King, Jr. Library (San Jose). Both sessions 9:00 am – 12 noon (sign-in 8:30 – 9:00). $15 registration fee. This workshop is appropriate for all levels of library staff. It’s especially designed for staff whose primary focus at work falls outside children’s and teen services. All of us who work in public libraries have to occasionally address behavioral issues. Children and teens fill most of our libraries every day. We all have to work with them and, at times, with their parents. The presenters will provide practical techniques and resources to work successfully with children and teens. • When can a child be left alone? Sarah Flowers has worked in California public libraries for 20 years, including five years as Deputy County Librarian at the Santa Clara County Library. She was the 2011-12 President of the Young Adult Library Services Association (YALSA). She is the author of Young Adults Deserve the Best: YALSA’s Competencies in Action (2011) and Evaluating Teen Services and Programs (2012). Penny Peck has been a children’s librarian for 30 years. She has led thousands of children’s storytimes, hundreds of book club discussions for students in grades 4-12, and hundreds of school tours and assemblies. She has taught classes in children’s and teen services at San Jose State University since 2002. She has written three books on children’s services, including Crash Course in Children’s Services, 2nd edition (2014). The April 21 workshop will held in the meeting room of the Castro Valley Library, a branch of the Alameda County library system. On-site parking is available, and the library is close to the Castro Valley BART station. For more details and to register, go to http://host7.evanced.info/pls/lib/eventsignup.asp?ID=535 (Castro Valley) or http://host7.evanced.info/pls/lib/eventsignup.asp?ID=536 (San Jose). New Dr. Seuss Book to be Published: More than 20 years after his death, there is still plenty of news about Dr. Seuss. Random House Children’s Books said it will publish a recently discovered manuscript with illustrations called “What Pet Should I Get” on July 28, 2015. The publisher plans at least two more books, based on materials found in 2013 in the author’s home in La Jolla, California, by his widow and secretary. The author whose real name was Theodor Geisel died in 1991. Random House associate publishing director Cathy Goldsmith says “What Pet Should I Get?” was likely written between 1958 and 1962. The book features the same brother and sister seen in Dr. Seuss’ 1960 classic “One Fish Two Fish Red Fish Blue Fish.” www.sfgate.com/entertainment/article/Recently-discovered-Dr-Seuss-book-coming-out-in-6087166.php . Children’s Choice Book Awards: Every Child a Reader (ECAR) and the Children’s Book Council (CBC) have announced the finalists in the eighth annual Children’s Choice Book Awards (CCBA), the only national book awards program where the winning titles are selected by kids and teens. Young readers across the country will determine the winners in all 7 categories of the Children’s Choice Book Awards by voting online at ccbookawards.com from Tuesday, March 17, 2015 through Sunday, May 3, 2015. In 2014, over 1.2 million votes were cast online by young readers. Winners will be announced during the 96th annual Children’s Book Week (May 4-10, 2015). The finalists for the K-2, 3-4, and 5-6 Book of the Year categories were selected by kids through the Children’s Choices Program, a joint project of the International Literacy Association (ILA) and the CBC, in which 36,600+ children from different regions of the United States read newly-published children’s and young adult trade books and voted for the ones they liked best. Teen Book of the Year finalists were chosen by 4,000+ teens via voting conducted by Teenreads.com.